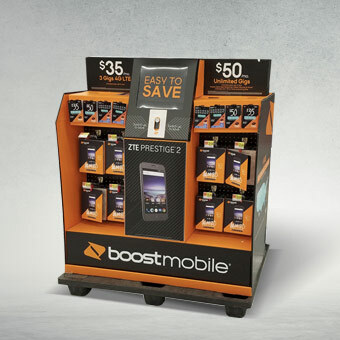 A pallet display creatively showcases large volumes of product for quick selling. 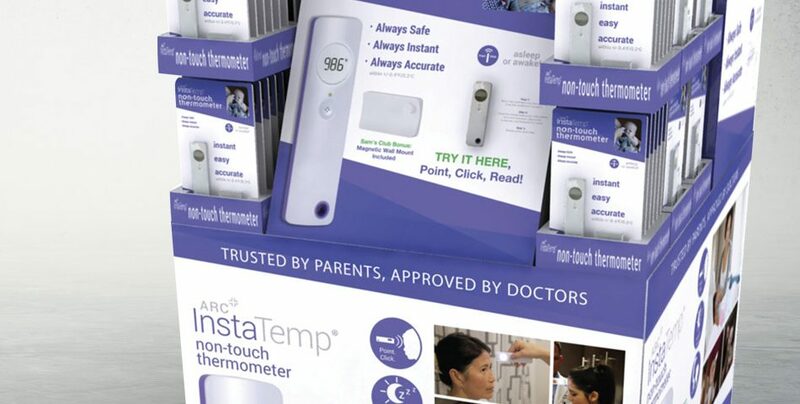 A pallet display can be shipped directly to retailers and will be placed in 1-piece, stocked with product, on the sales floor. 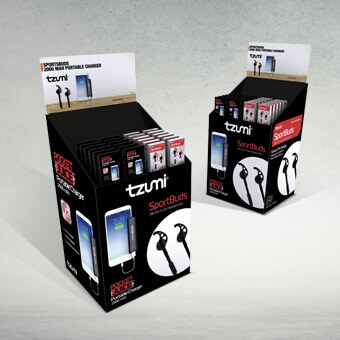 All pallet displays can be designed to showcase a single product line or multiple products at once and are custom designed according to branding guidelines. Full Pallet Displays – A full pallet display takes up the total space of a pallet. They are shipped to store and placed on the sales floor on a full pallet. Half Pallet Displays – A half pallet display is shipped and placed in the store on a half pallet. Quarter Pallet Displays – A quarter pallet display is shipped and placed in the store on a quarter pallet. Side Stack Displays – A side stack display is composed of trays that are stacked inside a hutch.